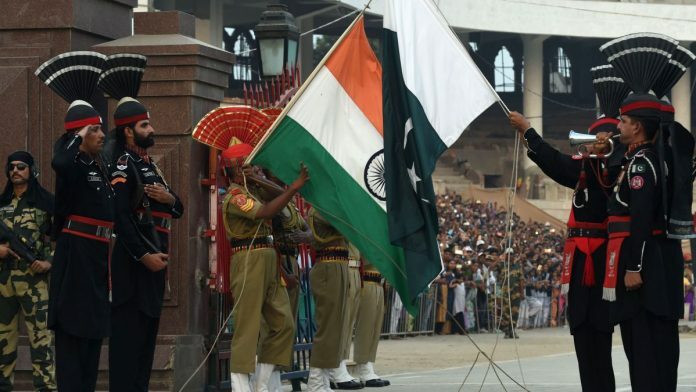 The move might hold symbolic value for India, but it's not likely to cripple Pakistan's economy — and that has to do with its poor state. New Delhi: India has stepped up its lobbying efforts to get Pakistan blacklisted by the Financial Action Task Force (FATF), the international terror financing and money-laundering watchdog. A dossier prepared by Indian security agencies, pinning the responsibility of the Pulwama terror attack on Pakistan, will be submitted to FATF. News agency PTI reported a security official as saying that the dossier would link the terror attack to Jaish-e-Mohammed (JeM) and, in turn, the JeM to Pakistani security agencies. While the move might hold symbolic value for India, it is not likely to cripple the neighouring country’s economy significantly. Its limited efficacy, ironically, has to do with the poor state of the Pakistani economy. The FATF is an intergovernmental organisation responsible for designing and promoting global regulatory rules and standards aimed at curbing cross-border money laundering and terror financing. It was established by the G7 in 1989 and is headquartered in Paris. The FATF currently has 36 members who must endorse the most recent recommendations made by the watchdog, accept to be evaluated by a peer-review mechanism, and work within the organisation to develop future recommendations. India has been a member of FATF since 2010. Following the September 2001 terrorist attack on America, the US initiated serious efforts to counter global terrorist financing. FATF was a major part of this. Just weeks after the attack, in October 2001, FATF issued “Special Eight Recommendations on Terror Financing”. All the FATF members adopted these recommendations and all non-members were also encouraged to adopt them. One needs to recall that the funding of the 9/11 attacks originated from Pakistan. The then ISI chief, General Mahmoud Ahmed instructed Islamist-terrorist Omar Sheikh to wire transfer of $100,000 to Mohammad Atta, the lead hijacker. The blacklist is an annual list of countries issued by the FATF. It includes countries that the organisation judges to be non-cooperative in the fight against financing terrorism and money laundering. They are officially referred to as the “Non-Cooperative Countries or Terrorists”. The FATF has a peer-reviewed system to assess countries’ legal regimes pertaining to anti-terrorism financing and anti-money laundering. The countries that fail to meet these standards are put on the blacklist. According to the latest public statement by FATF, Iran and North Korea are the two countries on its 2018 blacklist. While the FATF has no formal powers to sanction a non-compliant country, there are various kinds of costs associated with getting on the blacklist. There are broadly two aspects to these costs — normative and substantive. Substantive: A blacklisted country’s customers and financial institutions face immense difficulties in transacting with banks of FATF member-countries. From a global network point of view, the blacklisted country is cut off from international banking networks. Such non-compliant states also face the risk of being downgraded by multilateral lending institutions and rating agencies. Normative: Investors and multilateral lending institutions often look at ‘certainty’ before investing or lending money. A country’s presence on this blacklist generates a lot of uncertainty, which makes it hard for the state to easily receive capital inflows. Given the costs, getting Pakistan on the FATF blacklist might seem an effective way to punish the country for the Pulwama attacks. But evidence suggests otherwise. This won’t be the first time Pakistan is blacklisted by the watchdog. Pakistan was on this blacklist from 2012 to 2015 and the actual effects of the move on its economy were negligible. During this period, Pakistan managed to successfully complete an IMF programme of $5 billion and the country’s exports remained relatively stable. In 2017, talks about blacklisting Pakistan again picked up. Initially, Saudi Arabia, Turkey, and China were supporting Pakistan at FATF, and trying to shield it from getting blacklisted. On the other side the United States was leading the movement to blacklist Pakistan. It was accusing Pakistan of channelling funding to terrorist organisations. In an unexpected turn of events, China decided to withdraw its support for Pakistan. Eventually, Pakistan was declared ‘non-compliant’ and put on the list. And contrary to expectations, Pakistan’s 10-year bond yield came down to 7.1 per cent in February 2018 from 7.4 per cent in February 2017. The fall in bond yield reflects a reduced risk level in the Pakistani economy. There are predominantly two reasons for it. First, Pakistan predominantly relies on a certain kind of foreign capital inflows — aid, multilateral loans, remittances, and small FDI — and these inflows are relatively less affected by FATF blacklisting. Second, the share of the external sector in Pakistan’s economy is relatively meagre. Pakistan’s trade as a share of GDP for the year 2016 was about 25 per cent. In comparison, India’s figure stood at about 41 per cent for the same year. This relatively smaller share of the external sector cushions Pakistan from some of the adverse effects of FATF blacklisting. But given the fact that Pakistan consistently runs a current account deficit, and has relatively meagre capital inflows, the country faces a chronic balance of payments problem. This weak nature of the Pakistani economy reduces the efficacy of India punishing Pakistan via the FATF route. It needs to be mentioned that a global consensus is emerging on how Pakistan is a serial offender when it comes to supporting terror financing and facilitating money laundering. UK’s National Risk Assessment report in 2015 noted Pakistan was the second highest source of money laundering outflows from the country. More recently, the US has spearheaded the movement at FATF to get Pakistan blacklisted. And in a more surprising move, China has also begun to lose its appetite of tolerating Pakistan’s financing of ‘Deobandi’ terrorist outfits, which are causing problems for Beijing in the Xinjiang region.